October 1 brings a noticeable change in light on the trees. Soon the focus of work will change to re-potting but I took this day to catch up on some trees that were in grow phase. There was the Peruvian Pepper tree trunk that has been in development for years, trying to find the correct way to develop branches where they need to be on this little truck. 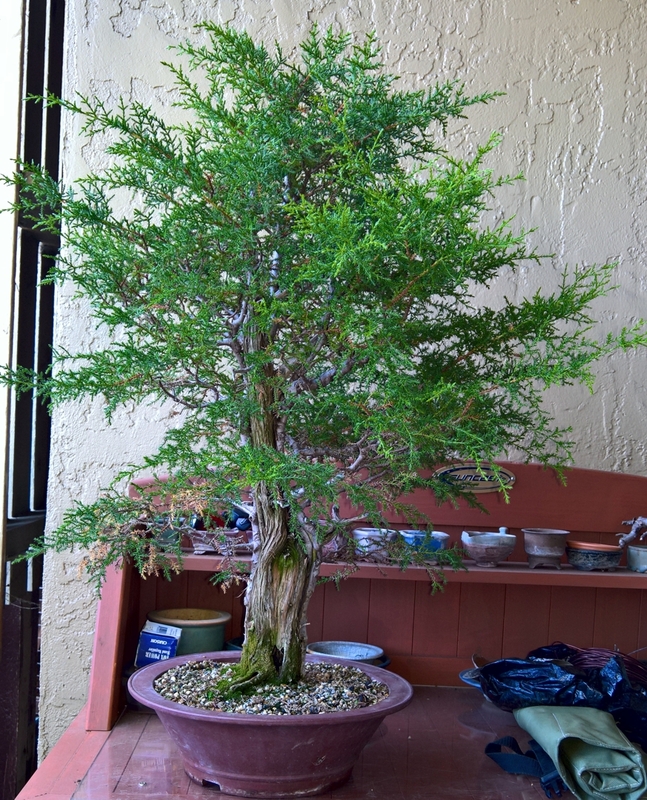 The challenge is that this is a little stump and the leaves tend to grow very large and long. My experiment is to reduce leaf size and develop new ramified branches. Now years latter, I finally go it to where I could do some wiring. 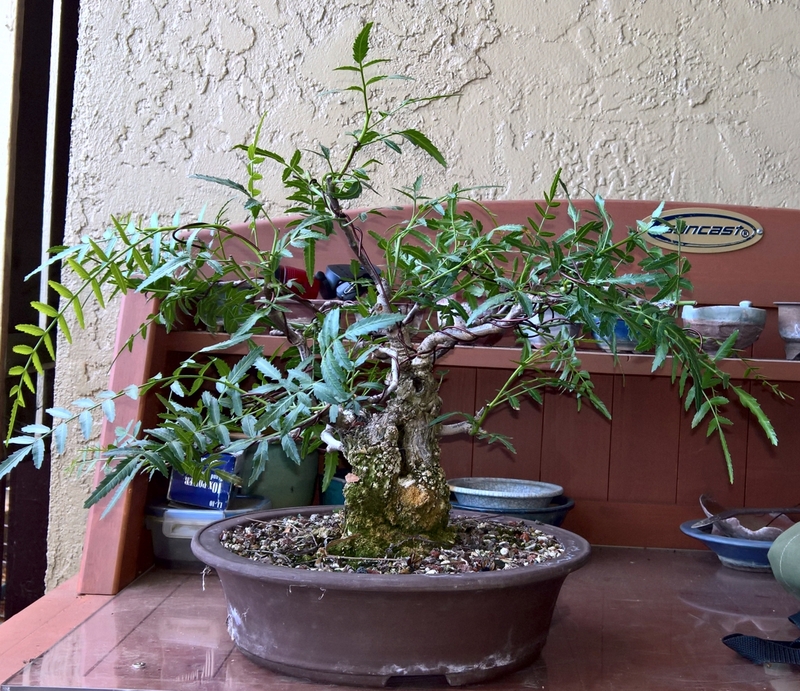 Peruvian Pepper tree. Years in development trying to get branches to develop where I wanted them to be. Wired it up and trimmed. 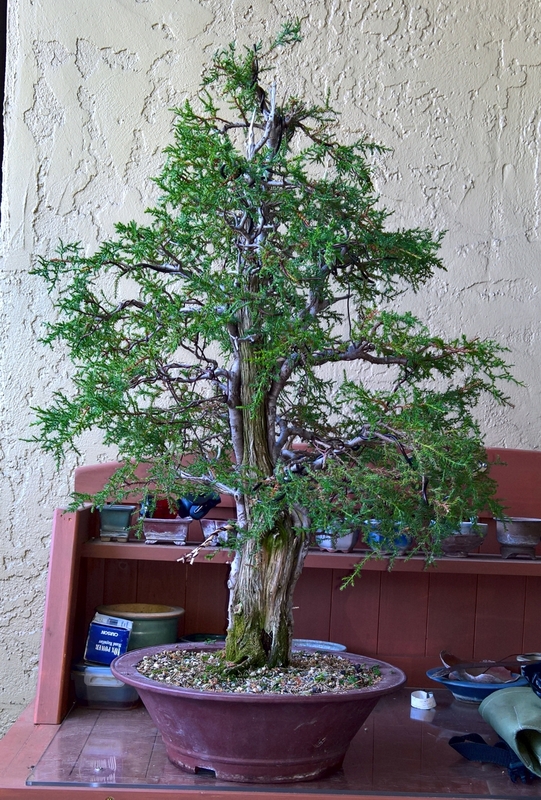 My Mendocino Pygmy Cypress tankui has been features several times. This summer it has grown well and recovered from my branch selection process earlier this year. Today, I wired or used guide wires to get some branches placed. It is finally starting to look like a fun tree. The foliage doesn’t seem to like summer wiring so it is wired in Aluminium and caged to not be tight on the branches. 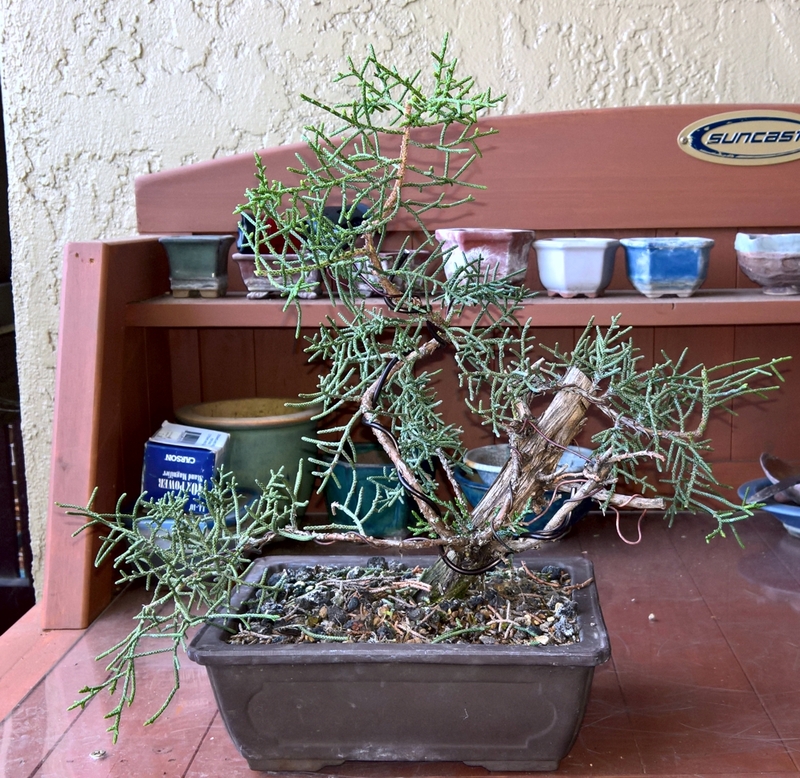 My little California Juniper got some more work today. It is about to go into a growth phase now that the rainy season is coming. It was trimmed and rewired a bit. Olive update. My recover tree is doing very well. 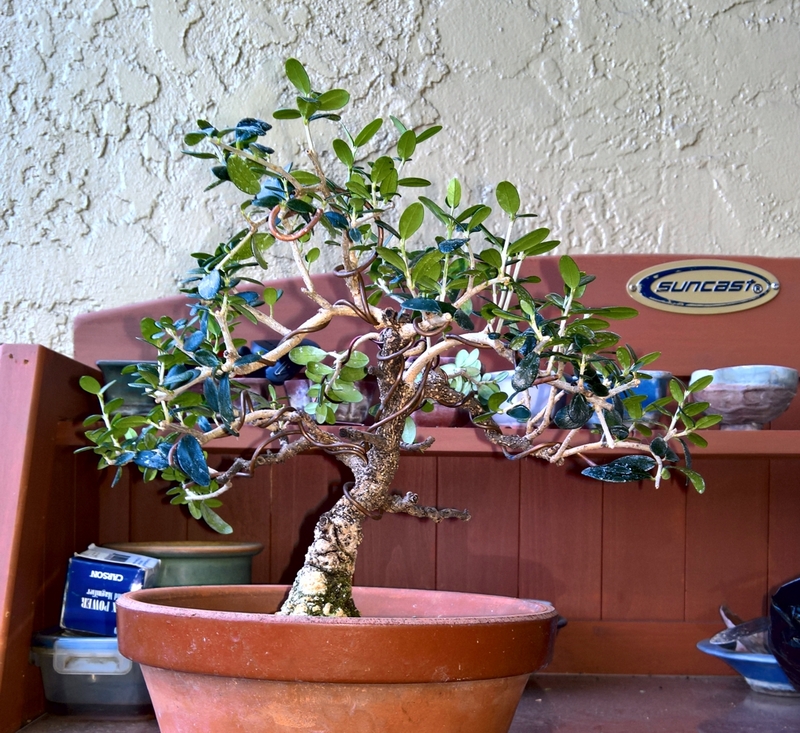 It put on many new branches and took on some more wire. Progress is good. 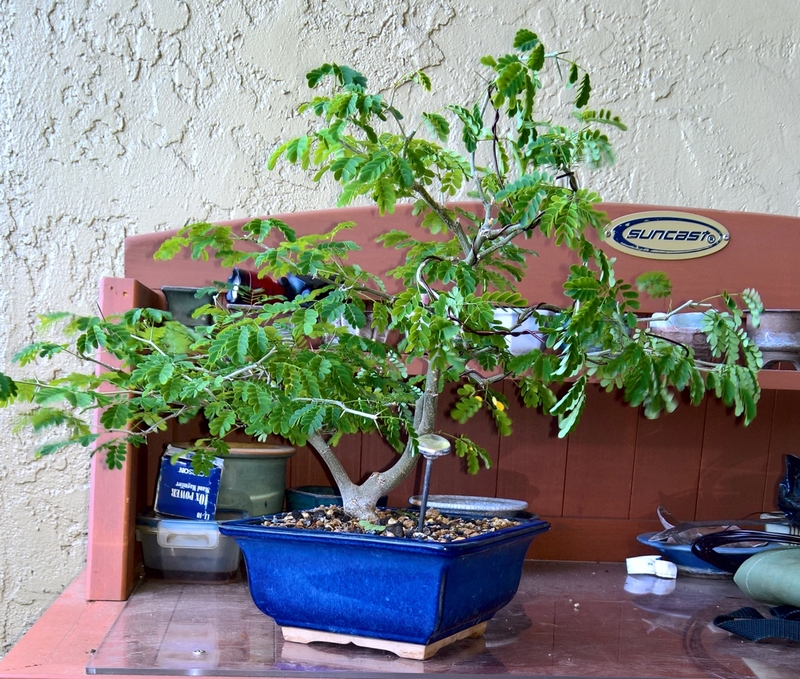 And finally, got some wire on the Brazilian Raintree. Been working it for some time to get branches developed to wire. It is almost end of season for this one as I will come inside under the grow light once temps go into the 50s. Olive in Recovery update. I posted this one some time ago. Now it is recovering branches with lots of new growth. Brazilian Rain tree. Finally developed branches for some shaping.